Colour. First episode printed on interior and back page. Changed from full-colour to B&W in Eagle 79. 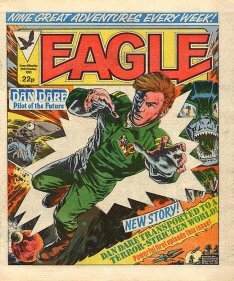 Ran uncredited in Eagle 85. Readers could submit story numbers. The winning reader had their number used in the strip and won Â£5. This story was "chosen" by Kevin Lyons, Southgate.